Slow network? Then this is the competition for you. 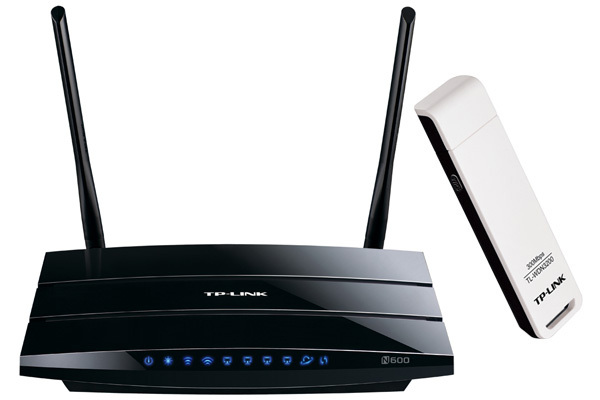 We've teamed up with TP-Link to give you the chance of winning one of five wireless networking bundles! That's right, five lucky HEXUS readers are each going to win an N600 Wireless Dual Band Gigabit Router and an N600 Wireless Dual Band USB Adapter! Really hope I win one of those, my Netgear WNR3500 is starting to die lol. Really love my TL-MR3020, especially the 3G mode as it's taking BT 7 fecking weeks to connect my ADSL!! !